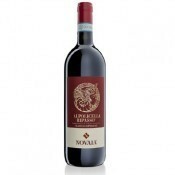 Appellation or Vine Valpolicella Classico D.O.C. 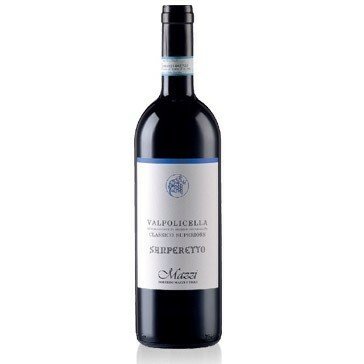 This red wine comes from the Poiga, Sanperetto, Villa and Calcarole vineyards, which are owned by the company and situated in the area of Negar in the heart of Valpolicella. The harvest begins in the first week of October, and the grapes are crushed and de-stemmed as soon as they have been gathered. They are then fermented in steel tubs under a controlled temperature of 25 degrees centigrade for about twelve days. Refinement takes place in medium-sized oak barrels and lasts for a year. Before being put on the market the wine rests in the bottles for two months. It has a beautiful ruby colour and an aroma that is fresh and fruity. The taste is fine, fresh and lightly acidic, with an underlying bitterish note. 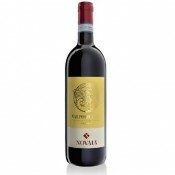 Mazzi is a rural company, located in the heart of Valpolicella in the area of the Negar denomination. Together with his sons, Stefano and Antonio, Roberto Mazzi takes personal care of the company's vineyards, which are called Calcarole, Poiega, Sanperetto and Villa. Although these vineyards are quite small, but located in a very favourable positions. Careful work in the vineyards and maximum care in the cellars form the basis of the wines produced by this company. Although the number of bottles produced is limited, production is concentrated on tradition and quality. 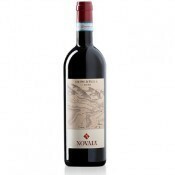 Although this wine can be drunk with any meal, it is at its best with grilled red meat, and medium-mature cheeses. The wine should be served at 16 - 18 degrees centigrade in clear, transparent crystal goblets. This is not really a wine to age and should be drunk within at least four years of purchase. The bottles should be laid horizontally in a cool, dark, humid wine-cellar. "WINE DISTRIBUTION DOSSIER ... born in 1999 thanks to Andrea Gaetano Gatti, wine expert, Wineshop.it not only is one of the oldest wine sites, but also one of the top sites for sales volume. It is also one of the few that continues to grow despite the wine crisis ..."